On September 14, 2010, it was announced that former President of Chile Michelle Bachelet was appointed as head of UN Women. Various countries supported the creation of the body and welcomed Bachelet as chief. During General Debate at the opening of the 65th General Assembly of the United Nations, world leaders commended the creation of the body and its intention to "empower women", as well as welcoming Bachelet's position as the inaugural head. In late 2013, a series of ads, developed as a creative idea for UN Women by Ogilvy & Mather, used genuine Google searches to reveal the widespread prevalence of sexism and discrimination against women  The ads featured the faces of four women and where their mouths should be were Google auto-complete suggestions. The suggestions were all sexist or misogynist. A similar campaign was also run to raise awareness for gay rights. 1 2 3 "Frequently Asked Questions". UN Women - Asia and the Pacific. Retrieved 20 September 2016. ↑ "Report on the Secretary General: Comprehensive proposal for the composite entity for gender equality and the empowerment of women". United Nations. 2010-01-06. Retrieved 2011-03-13. ↑ "Welcome to UN Women". Unwomen.org. 2010-07-02. Retrieved 2010-09-15. ↑ "General Debate: 65th Session". 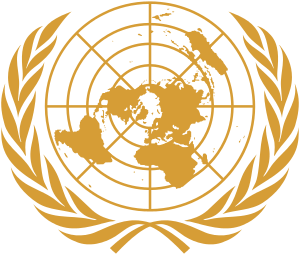 Gadebate.un.org. 2010-09-29. Retrieved 2011-03-11. ↑ "Resolution on 6/311 on system-wide coherence". United Nations General Assembly. 2010-11-09. Retrieved 2011-03-13. 1 2 "Resolution on 64/289 on system-wide coherence.". United Nations General Assembly. 2010-07-21. Retrieved 2011-03-13. ↑ "Executive Board". UN Women. 2010-11-10. Retrieved 2015-11-05. ↑ UN Women Leadership and political participation, November 5, 2015. ↑ UN Women Economic Empowerment, UN Women, November 5, 2015. 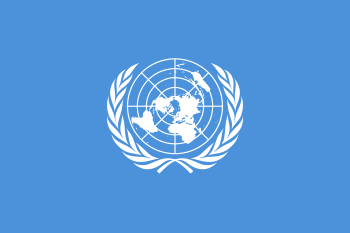 ↑ UN Women Ending Violence against Women, November 5, 2015. ↑ UN Women Humanitarian Action, UN Women, November 5, 2015. ↑ UN Women Peace and Security, UN Women, November 5, 2015. ↑ UN Women Governance and National Planning, UN Women, November 5, 2015. ↑ UN Women 2030 Sustainable Development Agenda, UN Women, November 5, 2015. ↑ UN Women Leadership and political participation, UN Women, November 5, 2015. ↑ UN Women ad series reveals widespread sexism, UN Women, October 21, 2013. ↑ Google's auto-complete spells out our darkest thoughts, The Guardian, Oct 22, 2013. ↑ UN Campaign Reveals Shocking, Depressing Gay Google Auto-Complete Function, Huffington Post, Oct 24, 2013.